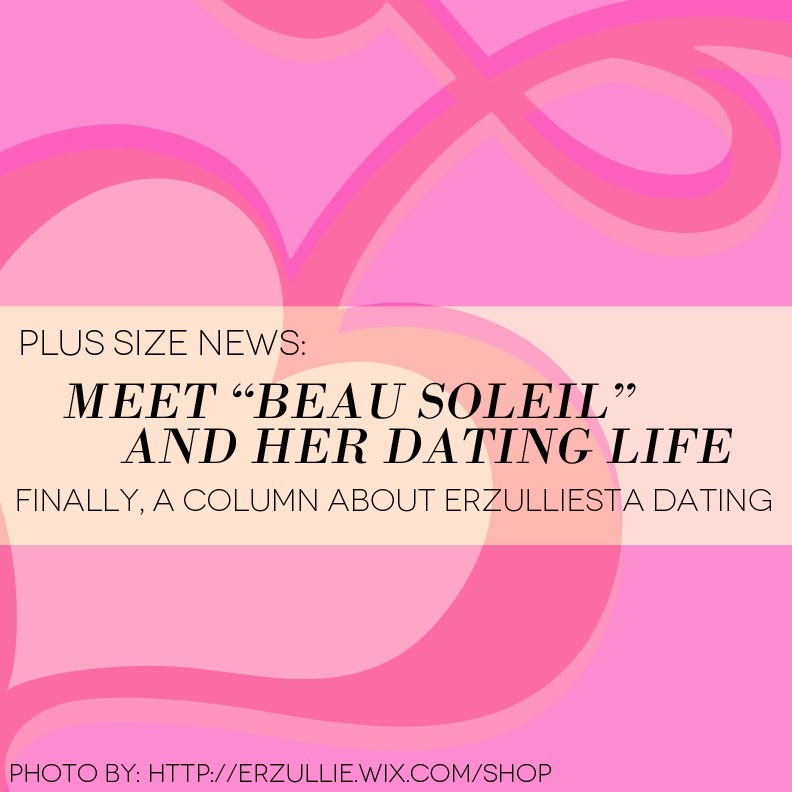 We have announced last January that we are going to have a new column for the Erzullie blogs and since February is all about love, we decided to shed light on something that is rarely touched upon locally --- dating as an Erzulliesta (a fierce plus size woman). We have invited, Beau Soleil, an 20-something Erzulliesta that is currently trying out the dating scene of Metro Manila. Obviously, Beau Soleil (French for “beautiful sunshine”) is an alias and we agreed on this, since she will be sharing her dating experiences with us and you know how Erzulliestas are with their lovers, we don’t kiss and tell --- or maybe at least in a blind item form. I have read her first article and I am actually excited about it. We will be releasing it within this week so do watch out for that. Hopefully, you ladies find it as entertaining as I did. To add, I also hope that you ladies learn something from it too. Erzulliestas are natural style adapters. 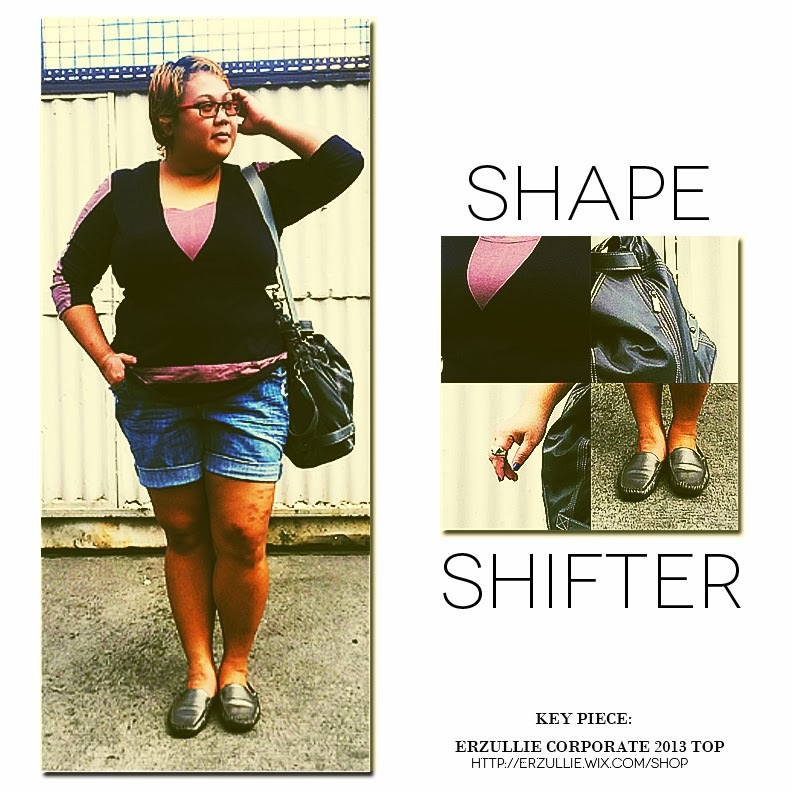 So how about trying to become a style “shape shifter”, ladies? Change the general shape of your body by just carefully choosing the fit and distinct details of each garb. Check out Erzullie designer, Berna Cuevas, doing just that in an Erzullie Corporate 2013 top. The color blocked top creates a different silhouette for the designer and paired with denim shorts and gray slip-ons, it looks casual and comfortable at the same time. This is Erzulliesta Joanne (not her real name). 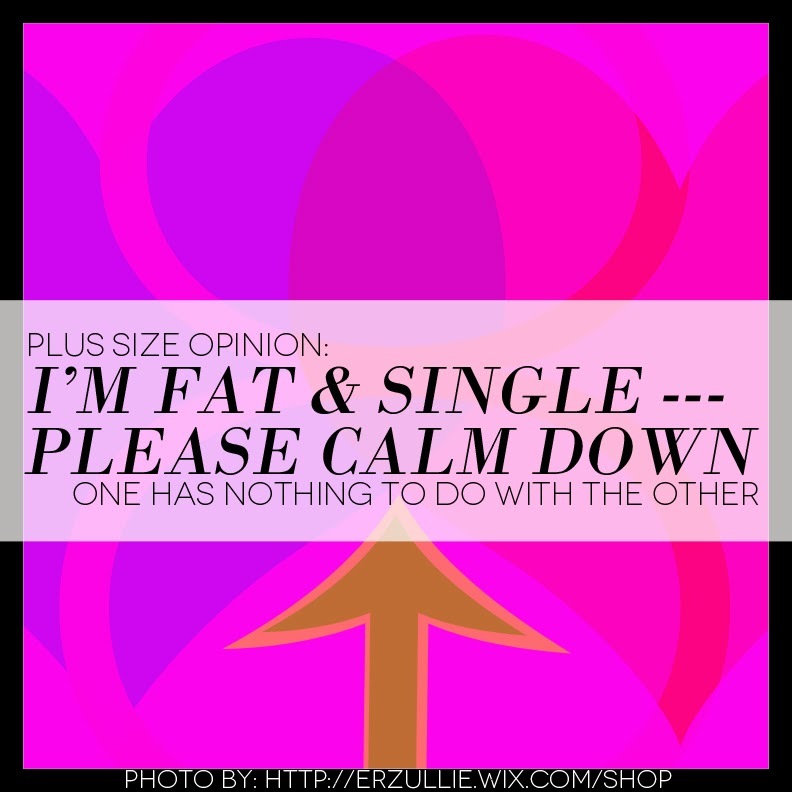 She sends us this fantastic and fierce piece about being a fat, single woman and why it’s a choice and not the size. The piece is edited for brevity. Let me get this straight --- being single has nothing to do with size because this situation spans across all shapes, ages and sizes of womanity out there. So what’s the hoopla about me being fat and single --- and “fat” being the reason? Stupidity. That is what is call it. “What? I didn’t choose to be 33 and alone.” I snapped back. “Yes you did because if you really wanted to have a man, you should be on a date right now.” She replied. “I’d rather wait for the right man than date every man.” I said frustrated. That’s where it hit me. I am single because I chose to be. There are a lot of guys that would take interest in me, but the truth is, I am just not interested in them. I am out there but I like to screen the men that I associate with --- what’s wrong with that? Nothing. It’s called standards and every woman should have one. From then on, I felt happy knowing that me being single is a matter of choice, and I can change it any time that I want. So sisters, remember --- single is a life choice and our fats did not choose it for us.